CHANGE: Auditions will now be held at 2 Wheels Bar and Grill, located at 567 Nevada Way. You MUST call Justin for scheduling in advance at 702-480-3615. It’s time again for the call to all who wish to entertain! 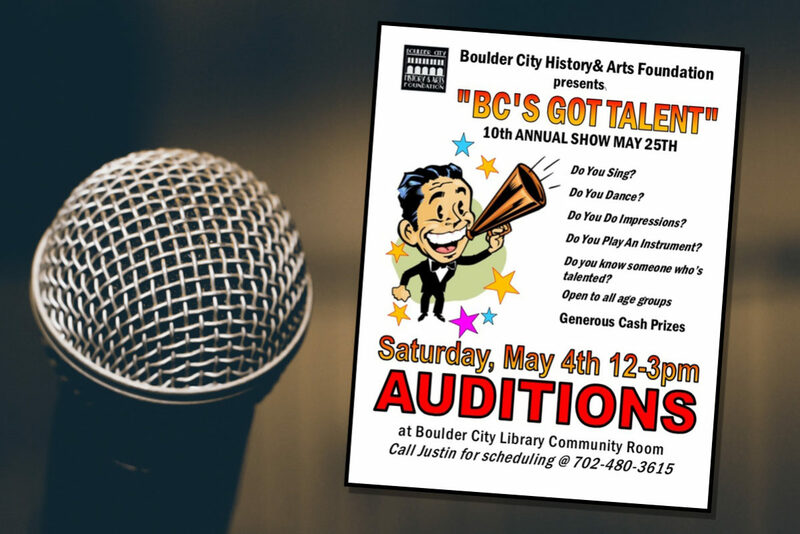 Be at the Library Community Room Saturday, May 4th from 12pm – 3pm and strut your stuff to see if you qualify for BC’s Got Talent on May 25th! If you can sing, dance, or are just pretty good in a living room, then go and see if you make the cut.